After World War II, with Nisei returning to Hawaii as war heroes, Americans of Japanese Ancestry (AJAs) began entering the political arena to spearhead change. Their efforts to gain equality and influence public policy revolutionized Hawaii, establishing the Democratic party as a dominant force. Sakae Takahashi of the 100th Infantry Battalion was the first AJA appointed to Hawaii’s Territorial government cabinet in 1951. Following the Japanese attack on Pearl Harbor, the Kauai native received military training at Camp McCoy, Wisconsin, then joined the 100th Infantry Battalion, where he quickly rose up the military ranks. He took part in key battles across Europe, before being injured in battle in 1944. He remained active in the Army Reserves, serving as a commander before retiring with the rank of Colonel. After the war, Takahashi dedicated himself to transforming Hawaii by entering politics. 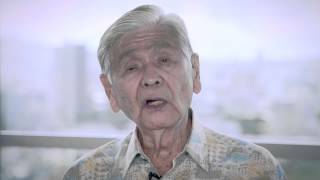 He became part of John Burns’ inner circle, and in 1950, he became the first Japanese American veteran to capture political office when he won a seat on the Honolulu Board of Supervisors. He was appointed Territorial treasurer under President Harry Truman in 1951, but the subsequent election of Dwight D. Eisenhower forced him out. Two years later, he won a seat on the Territory’s Senate, where he served for 20 years. 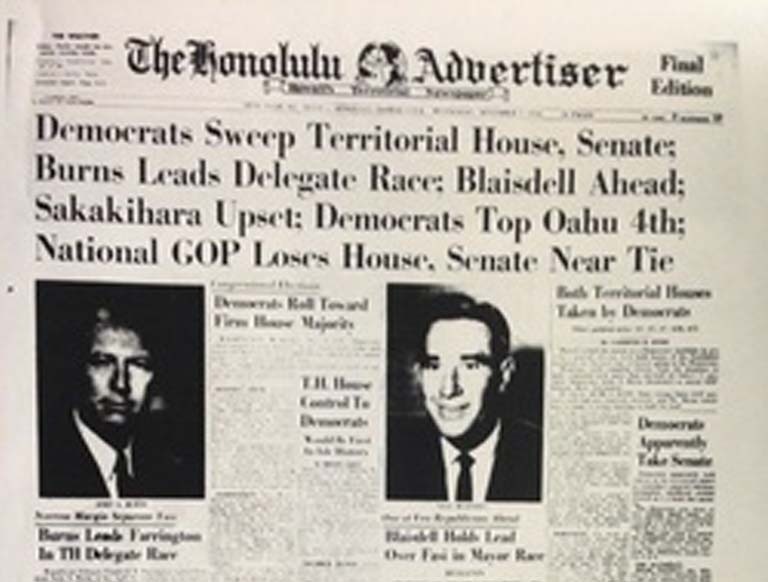 In November 1954, John Burns masterminded what became known as the “Revolution of 1954,” with Democrats for the first time seizing a majority in Hawaii's House and Senate. Democrats took 11 seats in the legislature, seating a total of 22, while the Republicans had just 8. Nisei veterans, including Daniel Inouye and Spark Matsumoto, claimed seats in the Territorial Legislature, upending decades of white Republican rule and ushering in progressive social changes. The rise of AJAs in Hawaii’s politics had been in the works since Nisei returned from the war. While volunteering at the Honolulu Police Department, Nisei leaders met Burns, then a police officer, who appointed them as liaisons in Japanese neighborhoods. He soon began touting their service in the Varsity Victory Volunteers, the 100th Infantry Battalion, and the 442nd Regimental Combat Team. Burns masterminded the Revolution of 1954 by presenting the Democratic party as the party for equality, with Nisei veterans entering politics to fight discrimination. Many had risked their lives to fight for their country, and they believed they that had earned the right for respect in society. 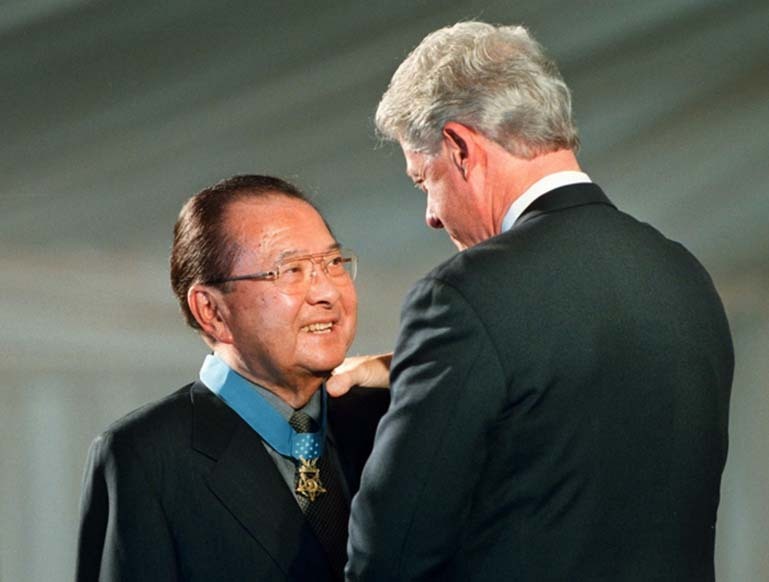 “Well obviously after going through an experience of that nature where you saw your friends die every day, get wounded every day, … we weren't ready to go back to the plantations,” said the late Inouye, a veteran of the 442nd Regimental Combat Team. The rise of the Democratic party paved the way for Nisei veterans such as Inouye, Spark Matsunaga, and George Ariyoshi, to gain power and transform Hawaii politics. After first taking political office in 1954, Inouye rose over the next six decades to become Hawaii’s most distinguished politician and one of the most influential Democratic leaders in Washington. At the time of his death in 2012, Inouye was the most senior member of the US Senate and the President pro tempore or second-highest-ranking member of the Senate. He also was the highest-ranking Asian American politician in US history. After returning home from the war, Inouye became part of Burns’ early Democratic coalition. In Hawaii’s November 1954 election, he captured a seat at the Territorial House of Representatives, then a place in the Territorial Senate two years later. On Aug. 21, 1959, Inouye became Hawaii’s first AJA to be elected as a US Representative. Four years later, he was elected to the US Senate. It was during his five decades in the Senate that he established himself as one of the country’s most esteemed leaders. 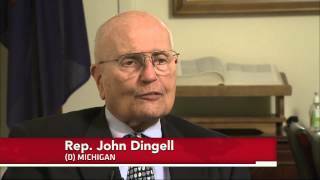 He served on numerous committees, becoming the first Chairman of the Senate Select Committee on Intelligence in 1976 and Chairman of the powerful Appropriations Committee. During the ‘70s and ‘80s, he served on the Senate Watergate Committee and also was chair of the Senate committee investigating the Iran-Contra affair. 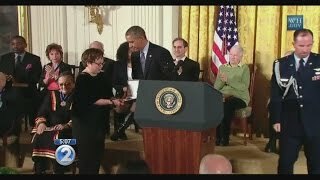 The result was the passage of the Civil Liberties Act of 1988, which prompted an official apology from President George H. Bush and $20,000 in redress to surviving Japanese Americans who had been incarcerated during World War II. 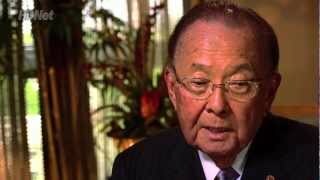 When Inouye was asked how he wanted to be remembered, he said: "I represented the people of Hawaii and this nation honestly and to the best of my ability. I think I did okay." Matsunaga, likewise, remains one of Hawaii’s most distinguished politicians, with a nearly 40-decade career in public service. He spearheaded the passage of the Civil Liberties Act of 1988; advocated for space exploration and renewable energy resources; and lobbied for the establishment of the US Peace Institute. Like Inouye, Matsunaga was a decorated veteran of the 442nd Regimental Combat Team who captured his first political seat in the Hawaii Territorial Legislature during the Revolution of 1954. 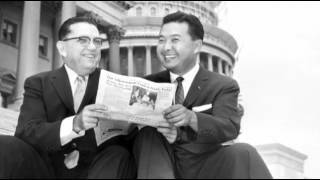 Nine years later, he entered the national political arena, becoming the first Nisei member of the US House of Representatives. In 1976, he won a seat in the US Senate, where he served until his death in 1990. Matsunaga’s parents were plantation workers, who immigrated from Japan to Kauai. In 1941, he volunteered for active duty in the US Army and later was assigned to the 100th Infantry Battalion (which became attached to the 442nd Regimental Combat Team), fighting in Europe and being wounded twice during battle. He also served as a company commander in the Military Intelligence Service. Matsunaga was released as captain on December 1945, and retired as a highly decorated lieutenant colonel, JAGC-USAR. After graduating from Harvard Law School in 1951, he became an assistant public prosecutor in Honolulu, then worked at a private law practice before being elected to the Hawaii Territorial Legislature in 1954. In 1959, after Hawaii achieved statehood, Matsunaga lost his primary bid to become the state's first lieutenant governor — the only political loss of his career. He rebounded by winning a seat in the US House, where he served on the House Democratic Steering and Policy Committee and the Rules Committee. In the Senate, Matsunaga served as the second-ranking Democrat on the Finance Committee, chair of its International Trade Subcommittee and was the Chief Deputy Majority Whip. One of his most noteworthy accomplishments was being the main Senate sponsor of the Civil Liberties Act of 1988. To get that legislation passed, he personally lobbied every Senator. 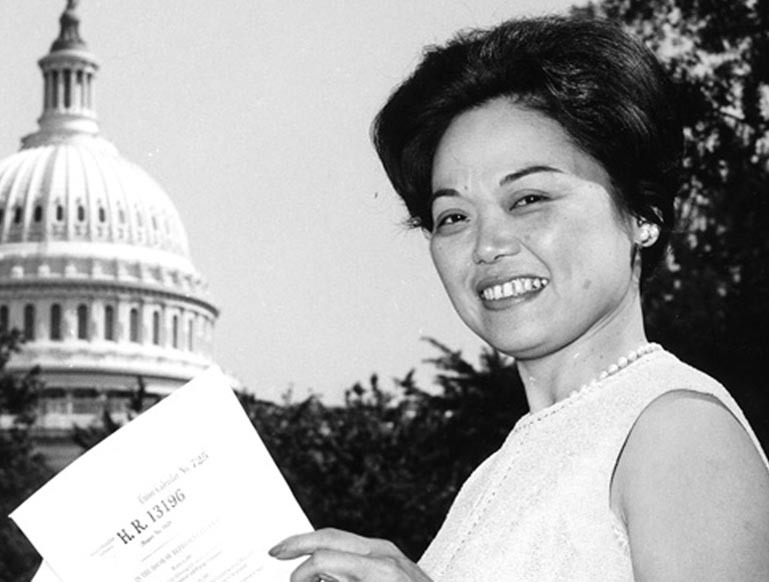 Sansei Patsy Takemoto Mink became the first non-white female to serve in the US House of Representatives, when she was elected in 1965. The Maui native was a Democratic trailblazer throughout her political career, advocating for equal rights for both women and racial minorities and pushing forth on other liberal causes. Her entrance in politics was motivated by the backlash she encountered as the first Japanese American female lawyer in Hawaii. "I didn’t start off wanting to be in politics," she once told a reporter. "Not being able to get a job from anybody changed things." In 1956, Mink was elected to the Hawaii Territorial House and two years later to the Territorial Senate, where she later chaired the Education Committee. She was elected in 1964 to the US House of Representatives, where she distinguished herself advocating for civil rights and speaking against the Vietnam War. She also supported feminist causes and helped author the revolutionary Title IX, which required institutions receiving federal funding to equally support men and women in academics and athletics. Women’s collegiate sports flourished as a result of the legislation. After 12 years in the US House, Mink lost to Matsunaga in a race for a US Senate seat. 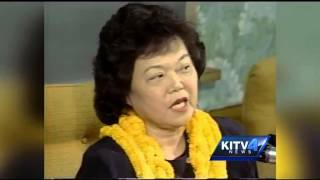 After an unsuccessful mayoral bid in 1988, she returned to Congress to serve out the term of Daniel Akaka, who had been appointed to fill Matsunaga’s Senate seat after his death. She served in Congress until 2002, when she passed away at the age of 74. 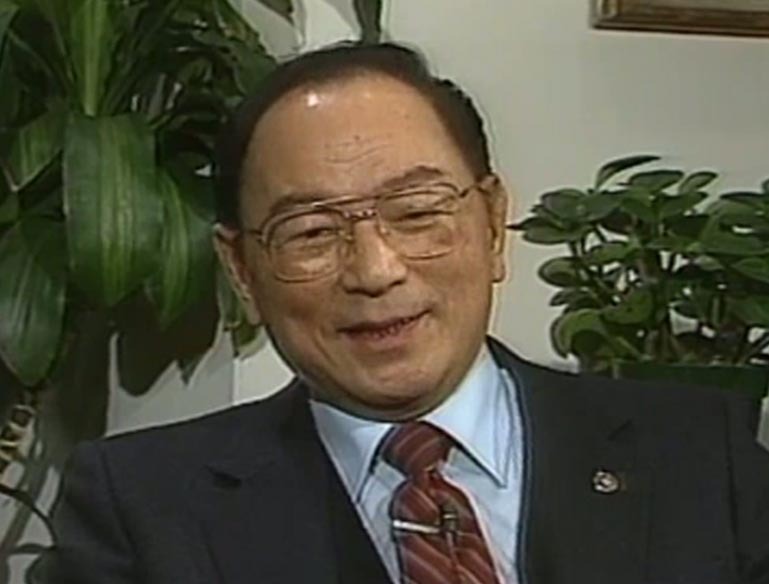 George Ariyoshi, another Nisei veteran, made history in 1974, when he became the nation’s first Asian American governor. 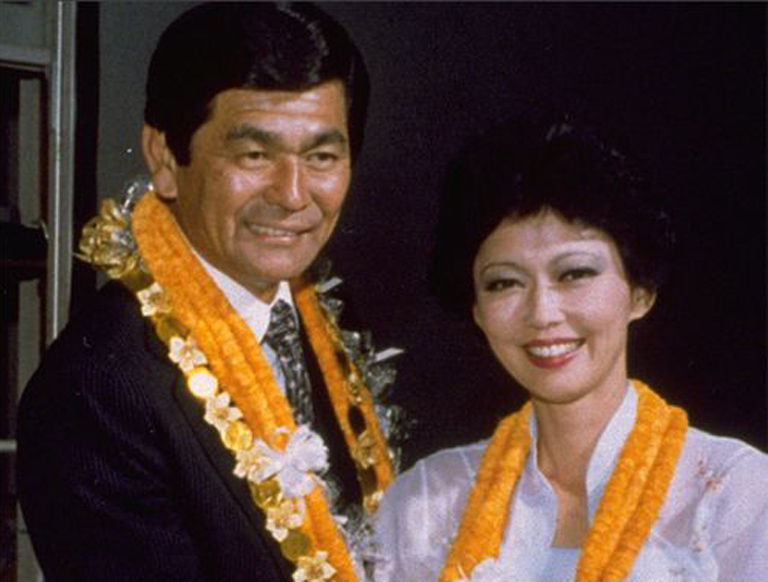 He went on to become one of Hawaii’s most influential statesmen in the 1970s and ‘80s, serving as governor from 1974 to 1986 — the longest-serving state governor in Hawaii. 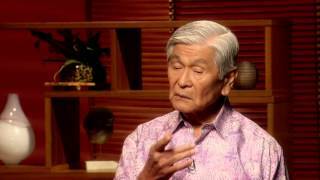 Raised by immigrant parents from Japan, Ariyoshi graduated from McKinley High School as senior class president, then was drafted during World War II into the US Army. He served as an interpreter in the Military Intelligence Service in occupied Japan for several months before returning to Hawaii. After earning his law degree from the University of Michigan, he returned to Hawaii to open his own practice. Like Inouye and Matsunaga, Ariyoshi was part of the Democratic coalition that came of political age during the Revolution of 1954. Ariyoshi served in the Territorial House until 1958, then was elected to the Territorial Senate, where he served until he became lieutenant governor with Governor John A. Burns in 1970. 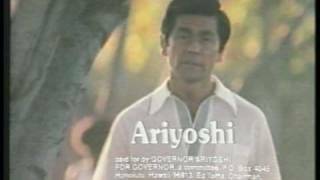 In 1973, after Burns was diagnosed with cancer, Ariyoshi served as acting governor. Burns died in 1975, and Ariyoshi was officially elected to the position the following year. Japanese Americans continue to hold influential roles in Hawaii’s local government. Hawaii’s current Governor, David Ige, is a third-generation Japanese American whose father, Tokio, was a decorated 100th Infantry Battalion/442nd Regimental Combat Team veteran. 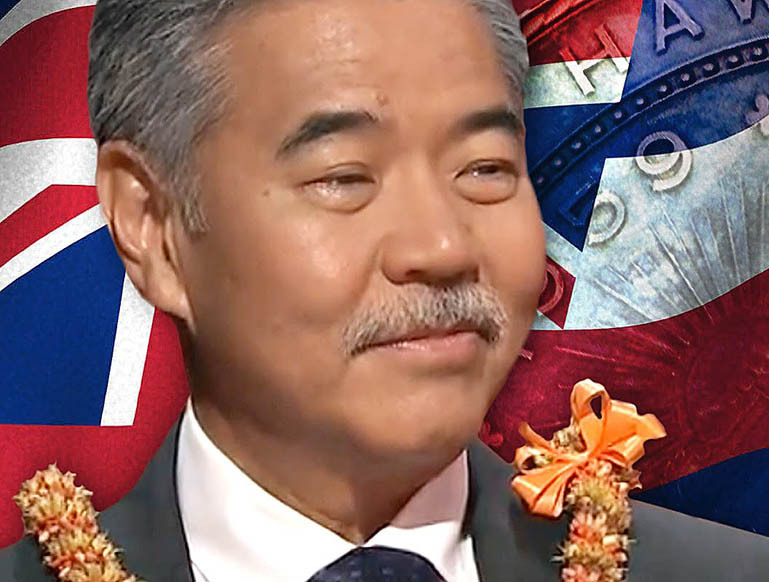 Ige was sworn in as the eighth governor of Hawaii on Dec. 1, 2014, and the state’s second Japanese American governor. Of Okinawan descent, he worked as an electrical engineer and project manager for many years before being appointed by Governor Ariyoshi in 1985 to fill a vacant seat in the State House of Representatives. In 1994, he was elected to the Hawaii Senate as a Democrat, representing the district of Aiea /Pearl City, until he was elected governor in 2014. He had defeated Neil Abercrombie in the Democratic gubernatorial primary by a 66% to 31% vote, becoming the first candidate to defeat an incumbent Hawaii governor in a primary election. Ige's inauguration celebrated the theme of "honoring the past and charting a new tomorrow,” and he paid tribute to his father, who served alongside Inouye. First AJA appointed to Territorial government cabinet: 100th Infantry Battalion veteran Sakae Takahashi. Nisei veterans lead Democrats in seizing a majority in Hawaii's House and Senate, ushering in socio-economic changes that continue into 1970s. 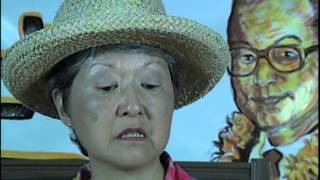 Daniel Inouye (442nd veteran) becomes Hawaii's Congressional representative. 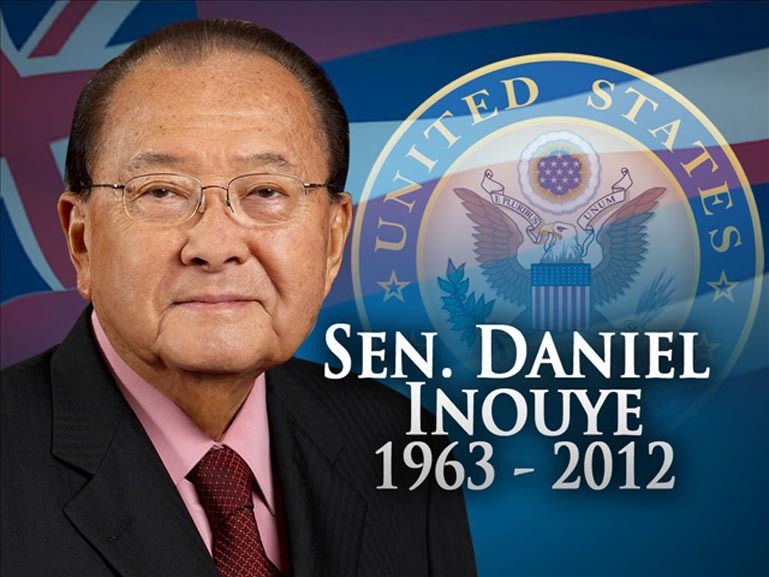 Daniel Inouye, 442nd veteran, becomes first Nisei senator in US; serves until death in 2012. Spark Matsunaga, 100th/442nd veteran, becomes first Nisei member of House of Representatives; ends career in 1990 as US Senator. 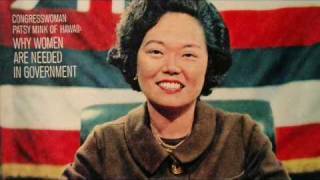 Sansei Patsy Takemoto Mink is elected to Congress, the first non-Caucasian female US Representative. 1974 Dec 2 MIS veteran George Ariyoshi becomes governor of Hawaii, the first Asian American governor in the United States. 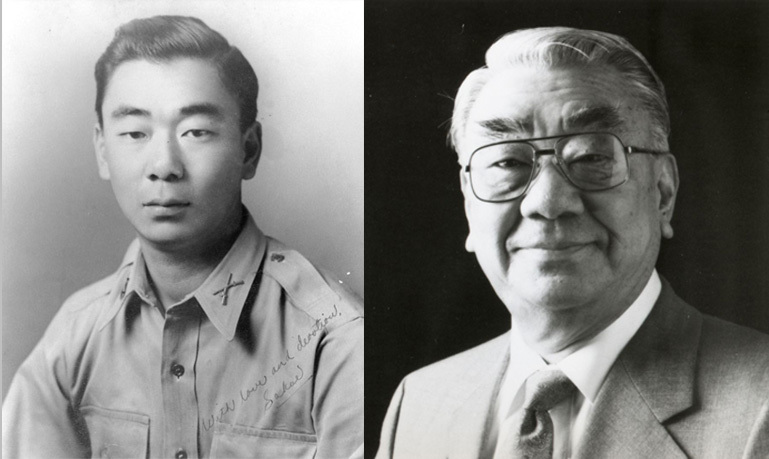 David Ige elected governor of Hawaii; his father Tokio, a decorated 100th Battalion veteran (Purple Heart, Bronze Star, & Combat Infantryman’s Badge).